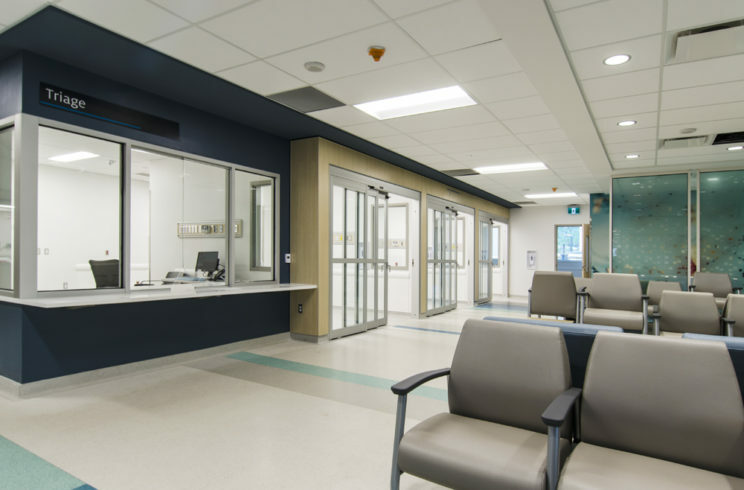 Human Space* participated in both the pursuit and award components of the Joseph Brant Hospital redevelopment (Public Private Partnership) P3 Project. This $353 million project delivered under the Design, Build and Finance (DBF) model includes 415,000 sf of new construction and 128,000 sf of renovations. Between the project work and the existing hospital, the completed hospital will provide 800,000 sf designed to offer best in modern day health care. Human Space continued in its consulting role during the award stage. 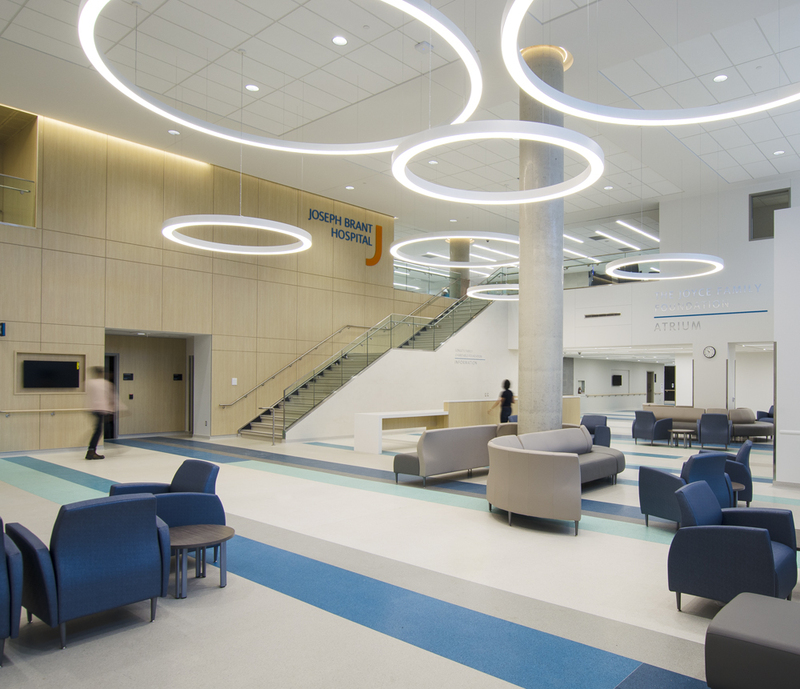 In collaboration with the design team, Human Space influenced the hospital’s design in order to meet the Output Specifications (OS) and required standards. Working in partnership with the team and the Burlington Accessibility Advisory committee, Human Space fostered an understanding of accessibility needs to be integrated into this specific design. Ongoing drawing reviews and consultation, as well as site visits during construction, were also included in the team’s scope of work. A range of seating types allows for greater choice and flexibility in common areas. Lowered portions at reception desks mean individuals who use mobility devices can comfortably receive services.